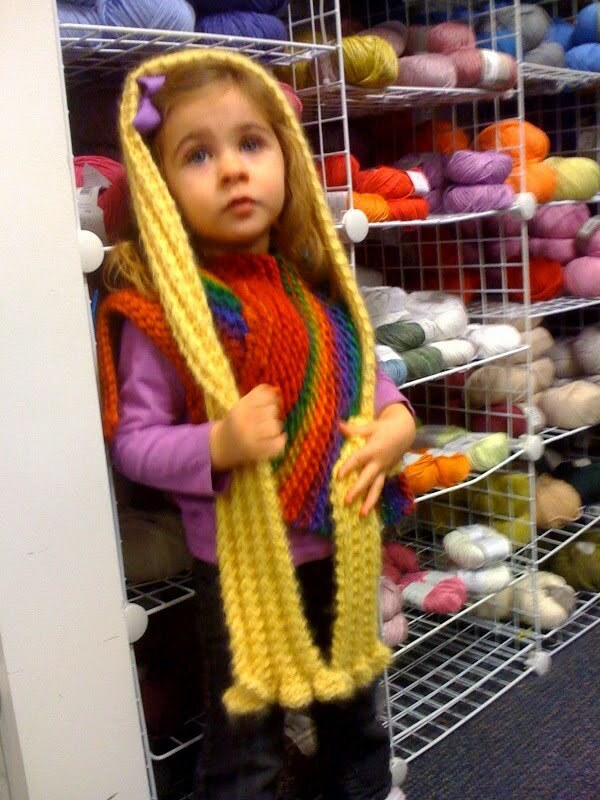 So here's the little miss, modeling a scarf made from one skein of Baby Alpaca Grande at The Woolie Ewe. 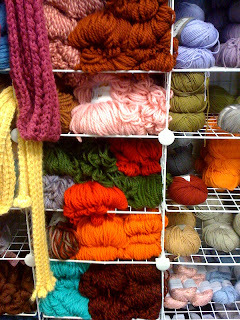 We popped in this morning to scope the joint for newbie-knitter-class supplies. The owner pointed us to this - and it's on sale. Whoop! Only $10 for that soft, soft lovely. -- Let me interject here to tell you Little Knotty's spontaneous, non-prompted proclamation as we walked into the store: "Be very patient," she said pointing to herself. I was quite amused. Here's more of the Baby Alpaca. 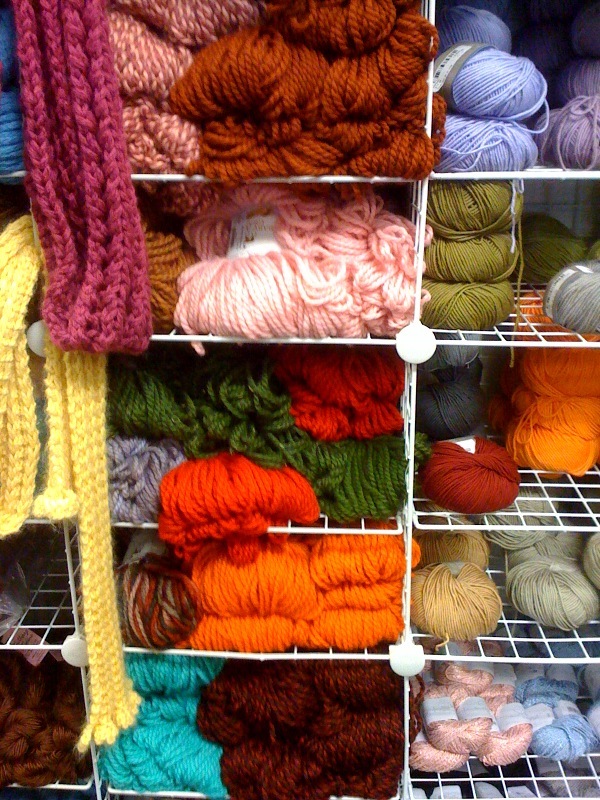 There were lots of good, chunky starter yarns on sale. 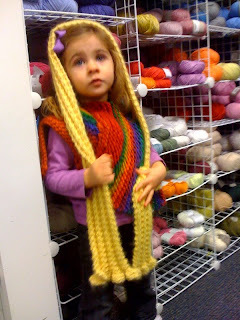 I think I can get everyone a little scarf kit together for about $20.